A cleverly designed Detachable Bunk Bed that splits into 2 Single Beds with new rounded features including deep ladder with ergonomic designed treads to make it easier for your child to climb up and down. Sleek, trendy design in a cool white finish, perfect for boys and girls alike. This bed is rock solid and will last far longer than you have bargained for. Includes Uno S Bunk Bed Frame. Recommended min. age 6yrs for sleeping in top bunk. 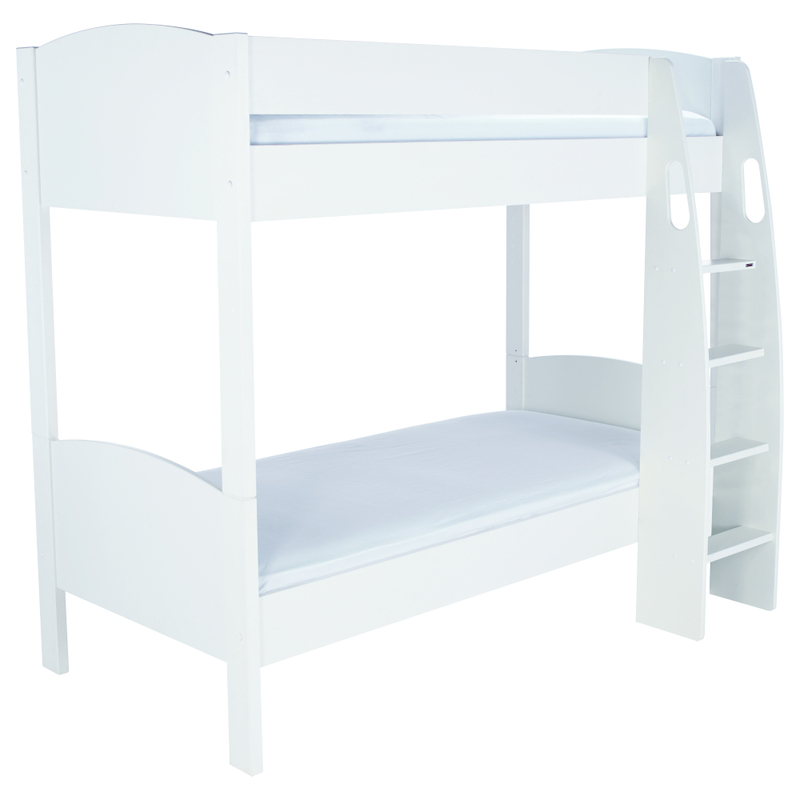 Size of Detachable Bunk Bed H1662xW1222xL2082mm. 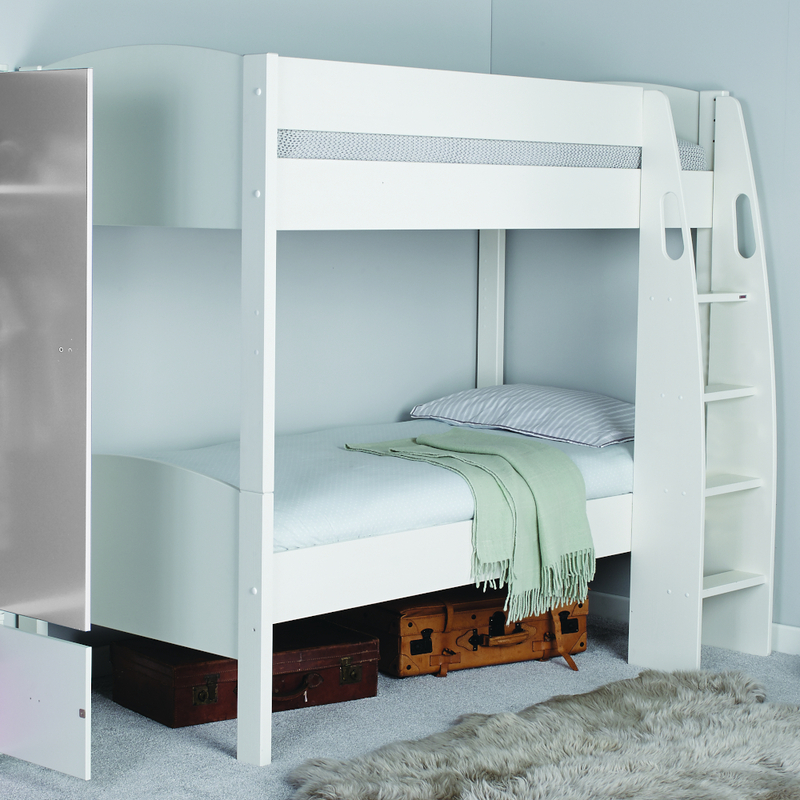 Ladder with cut out grab handles for your childs safety and comfort can be fitted either side. Split into 2 single beds. White lacquered finish with white rounded feature headboards.